Apparently there is no law prohibiting political advertising on the front lawn of the St. Clair County Courthouse. 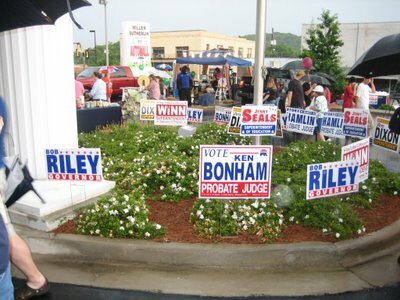 Several of these candidates also had individual booths at the block party. 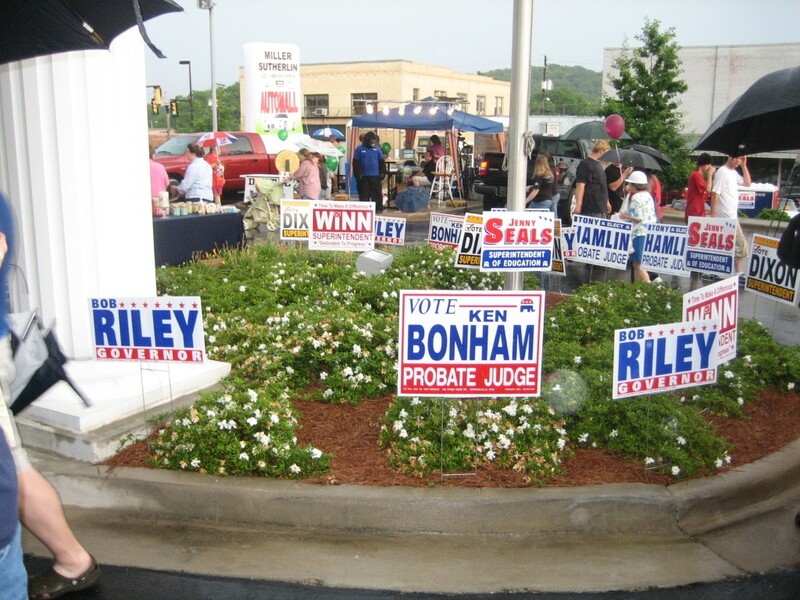 The Primary Election was yesterday, so maybe a few of the signs are gone by now. i'm so sad they never had a block party when i lived there-looks like it's lots of fun. It is fun. I think we must have gotten some activists in the Chamber of Commerce after you left.